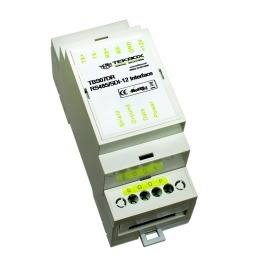 The TBS08DR RS232 to SDI-12 Converter is an interface box for connecting a data logger or RTU with SDI-12 interface to a sensor or actuator with RS232 interface. 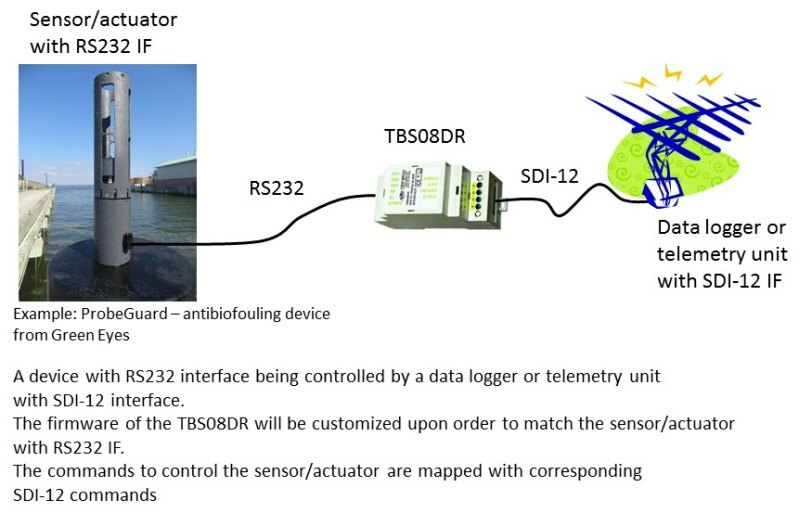 The TBS08DR connects to the RS232 interface of a sensor or actuator and behaves like a sensor within a SDI-12 network. The TBS08DR is a versatile device for everyone who needs to integrate devices with RS232 into a SDI-12 network. The TBS08 requires the firmware to be customized to the connected RS232 device. Contact Tekbox for details.